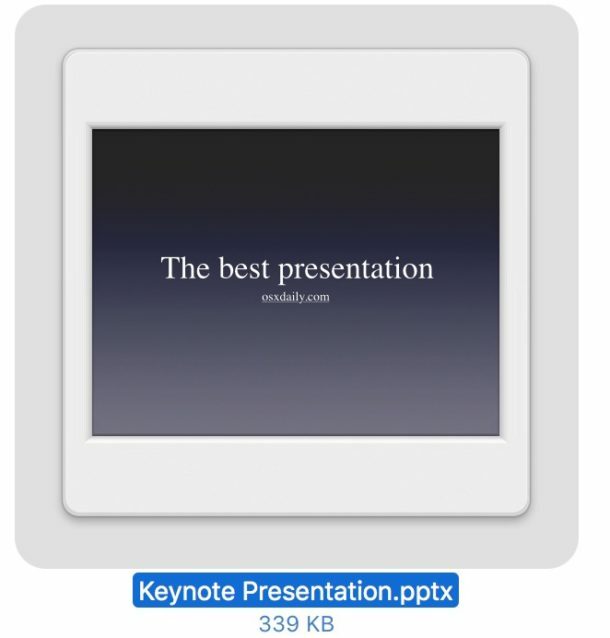 Keynote .key presentation files can be converted to PowerPoint .pptx files easily with the help of iCloud. 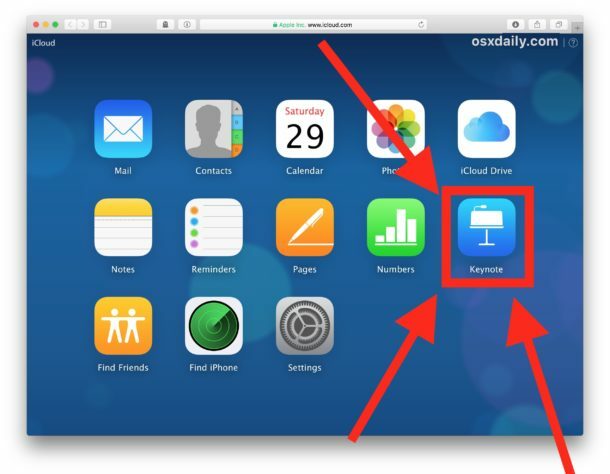 The great thing about using iCloud to convert Keynote to PowerPoint presentations is that iCloud can be accessed from any device or computer as long as it has a web browser, meaning you can perform this file conversion from a Windows PC, a Mac, Linux machine, or even a tablet. 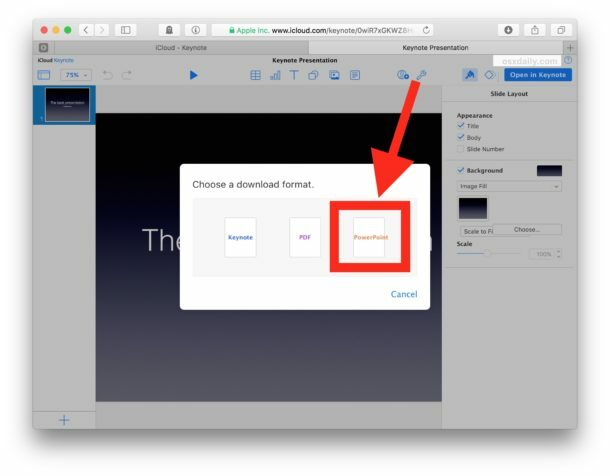 As long as the computer has access to the internet and a web browser, it can convert the keynote file to powerpoint with ease, and it’s totally free too. You will need an Apple ID to be to perform the conversion, the Apple ID doubles as an iCloud login. 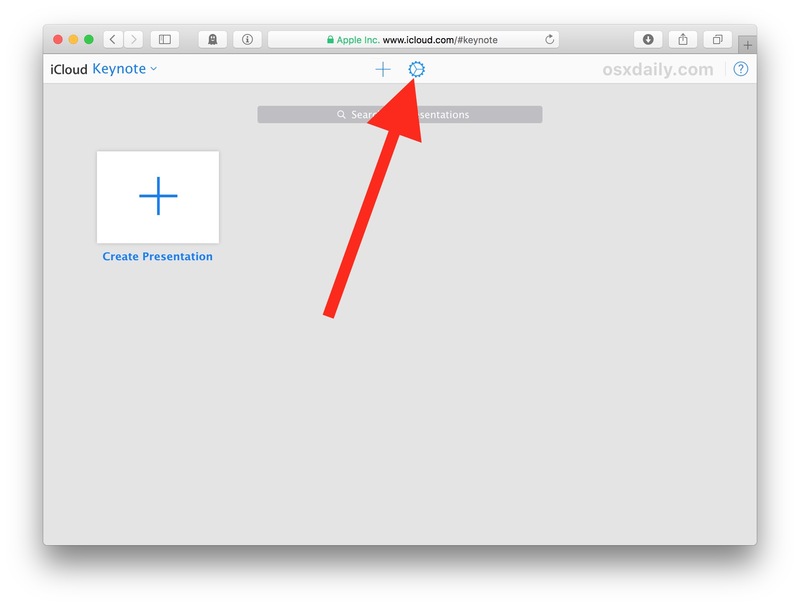 While it’s likely you do have an Apple ID for your iPhone, iPad, Mac, iPod, or whatever else, you actually don’t need to have any Apple devices to simply create an Apple ID and use one for the Keynote to Powerpoint conversion process we detail here. 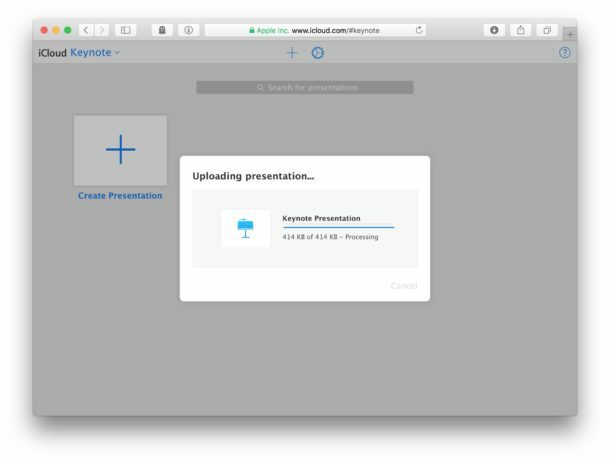 A quick side note: if you’re aiming to convert a Keynote file to Powerpoint format and you’re on a Mac with Keynote installed, you can actually just save a keynote file as a Powerpoint file directly from MacOS – you don’t need to use iCloud for that at all. That’s it! All done, your freshly converted .pptx Powerpoint file will be available in wherever your web browser downloads files to. By default on a Mac, the file will save to the user ~/Downloads folder, and in Windows it might be within a downloads folder of your Documents or where ever else you store your files and downloads. 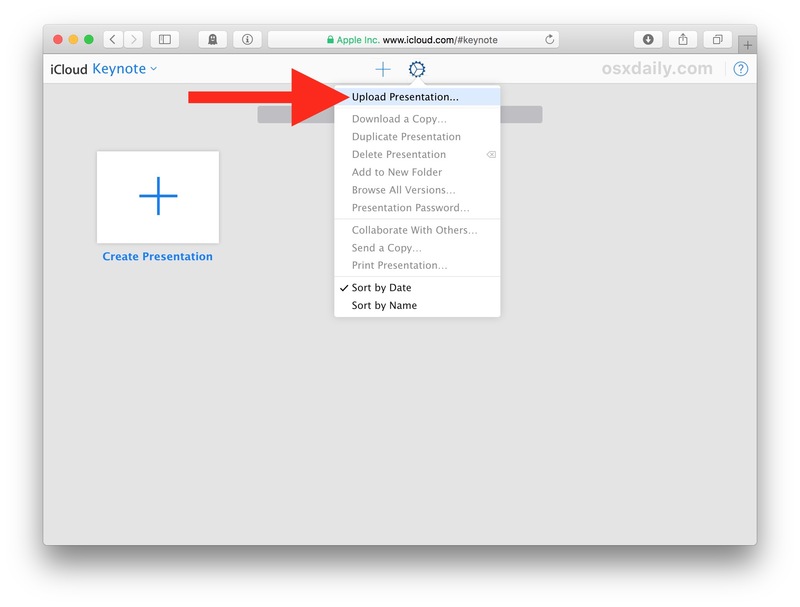 * If the formatting looks off, you can correct it live in Keynote for iCloud before exporting and converting the file from Keynote to Powerpoint. Usually the conversion is quite good but sometimes unique fonts specific to the computer or device the Keynote file was created on may be missing and make things look different, in which case you may want to adjust the font or formatting of the Keynote file before you export and download the converted presentation as a Powerpoint pptx file. Do you have any other helpful tips, tricks, or comments about converting Keynote files to Powerpoint files? Share them with us in the comments below! Thanks Bob, glad this was helpful! 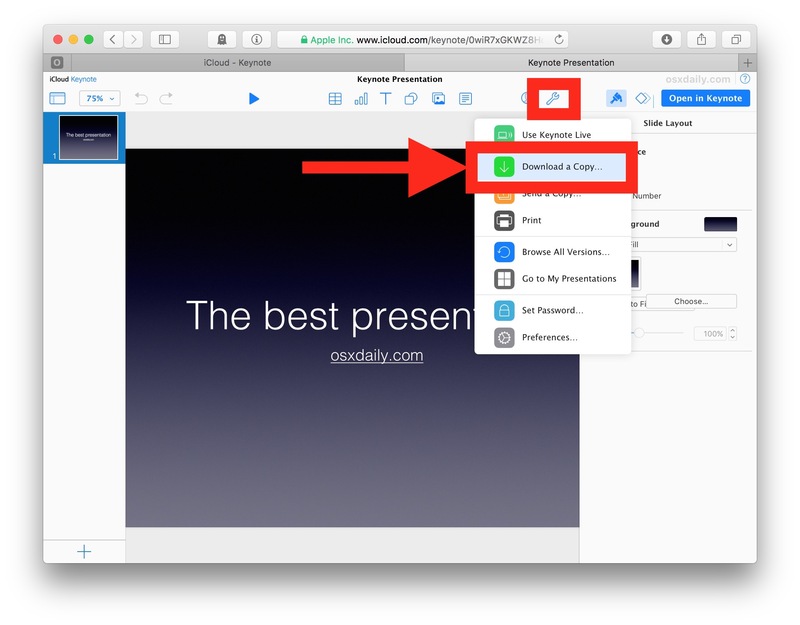 Another option for presenting in that scenario is to take iCloud Keynote full screen and run the presentation directly from the web browser too. Of course if you have access to a USB drive, you could export the Keynote files as Powerpoint ahead of time and run that from the Windows PC too. Just a few other ideas.